Carson Edwards scored 23 points on 8-of-14 shooting after making 7 of his 40 attempts in the previous two games, and Purdue got its fourth straight victory, 73-56 over Illinois. Matt Haarms had 21 points on 8-of-8 shooting, 10 rebounds and five blocks for the Boilermakers (21-7, 14-3 Big Ten), who moved into a tie atop the conference with No. 6 Michigan State. Illinois (10-18, 6-11) led the back-and-forth game 33-32 at halftime and rallied to tie it at 48 with 9:43 remaining. Then Edwards and Haarms took over as the Boilermakers scored 12 straight points. Illinois got no closer than nine points the rest of the way. Haarms found an advantage over Illinois center Giorgi Bezhanishvili, who was hampered by foul trouble most of the night. Bezhanishvili recorded just two points and five rebounds before fouling out. Illinois struggled from the field, shooting 32.8 percent overall and 27.6 percent from 3-point range. Ayo Dosunu and Andres Feliz led Illinois with nine points apiece. The Boilermakers held a 36-27 advantage on the boards. Illinois hosts Northwestern on Sunday. The Redbirds leveled the season series against the Bears with the win. Missouri State defeated Illinois State 66-65 on Feb. 10. Illinois State finishes out the regular season against Southern Illinois on the road on Saturday. 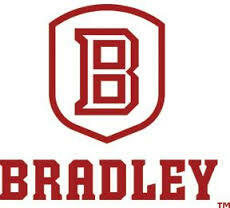 Elijah Childs had 18 points and eight rebounds for Bradley (17-13, 9-8 Missouri Valley Conference), which earned its fourth consecutive home victory. Darrell Brown added 10 points. Dwayne Lautier-Ogunleye had eight rebounds and seven assists for the home team. The Crusaders' 26.8 field goal percentage represented the worst mark by a Bradley opponent this season. Valparaiso put up 20 points in the second half, a season low for the team. Derrik Smits had 12 points for the Crusaders (14-16, 7-10). Javon Freeman-Liberty added seven rebounds. John Kiser had seven rebounds. The Braves leveled the season series against the Crusaders with the win. Valparaiso defeated Bradley 61-50 on Jan. 8. Bradley finishes out the regular season against Loyola of Chicago on the road on Saturday. Zach LaVine scored 12 of his 30 points in the fourth quarter and the Chicago Bulls beat the Memphis Grizzlies 109-107 on Wednesday night. The win was the fourth in five games for Chicago, and the Bulls finished February 5-5, the first time they reached .500 in a month this season. The Bulls travel to Atlanta on Friday to face the Hawks. 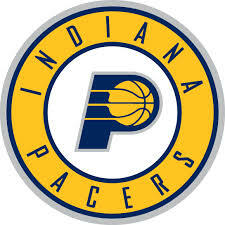 Luca Doncic had 26 points and 10 rebounds, Jalen Brunson scored a season-high 24 points and the Dallas Mavericks ended a five-game losing streak with a 110-101 victory over the Indiana Pacers on Wednesday night. Doncic, the only teenager in NBA history with multiple triple-doubles, didn't have a shot at his fifth late. But the budding star and No. 3 overall draft pick who turns 20 Thursday had two of his seven assists on a pair of key 3-pointers, one of those by Brunson for an eight-point lead with a minute to go. Wesley Matthews scored 20 points in his first game against his former team after going to New York in Dallas' blockbuster deal with the Knicks. Matthews signed with the Pacers as a free agent. Tim Hardaway Jr. had one of the late Dallas 3s and finished with 20 points, while Dirk Nowitzki hit one early in the fourth for a five-point lead and finished with 11 points in the 40-year-old's first home start in his record 21st season with the same franchise. Indiana's Myles Turner, a former high school standout in the Dallas area, scored 13 points. Thaddeus Young had 11. The Pacers take on Minnesota at home Thursday. Patrick Kane scored with 16.1 seconds remaining on an odd-man rush and Jonathan Toews assisted on both third-period goals as the Blackhawks rallied for a 4-3 victory over the Anaheim Ducks on Wednesday night. The Blackhawks travel to the Los Angeles Kings on Saturday. Dustin Johnson won last week's WGC-Mexico Championship at 21 under par but the PGA Tour shifts to the Florida swing with the Honda Classic opening today in Palm Beach Gardens Florida, one of the toughest tracks on the tour. Justin Thomas is the defending champ coming off his fourth top 10 in five starts and a course-record 62 at the WGC-Mexico Championship. Rickie Fowler won the event in 2017. Brooks Koepka doesn't have a top 25 at this course in four tries. Only six of the top 25 in the world are playing this week, which, as Golfweek pointed out, is only half as many as last year. Tuesday afternoon, the Cardinals announced a press conference at their spring training facility in Jupiter, Florida, but didn't give a reason. Shortly thereafter, Cardinals beat writer Derrick Goold reported that the club had reached an agreement on a contract extension with starting pitcher Miles Mikolas. Jon Heyman reports the extension is for four years and $68 million. The Cardinals got Mikolas on a two-year, $15.5 million deal ahead of the 2018 season that ended up being an incredible bargain, given what Mikolas produced. An interesting note here is that usually contract extensions replace what was remaining on a deal, but instead Ken Rosenthal of The Athletic reports that this four-year deal covers 2020-2023, Mikolas' age 31-34 seasons. Mikolas, 30, returned to MLB last season after three very successful campaign's in Japan's NPB. He put together an All-Star season, going 18-4 with a 2.83 ERA (137 ERA+), 1.07 WHIP and 146 strikeouts against 25 unintentional walks in 200 2/3 innings. His 4.1 WAR ranked ninth among NL pitchers and he finished sixth in NL Cy Young voting. Clinton Lady Maroons freshman Mallory Cyrulik became the first freshman in Central Illinois Conference History to be named first-team all-conference as announced Monday. Channing Reed from Central A&M, Addison Newbon from Decatur St. Teresa and Esther Miller from Sullivan were unanimous first-team selections joined by Natalie Bates from Tuscola and Claire Peters from St. T, along with Cyrulik. Clinton's Maddie Stevens was also named all-conference honorable mention. Nolan Arenado is going to stick with the Rockies instead of testing free agency next offseason. The two sides are finalizing an eight-year contract extension worth $260 million, according to multiple reports, including CBS Sports HQ's Jim Bowden. The deal will reportedly include an opt-out clause after three years, and it appears the deal starts with this season. Arenado was originally going to make $26 million, which is what he got in the arbitration process. Arenado will turn 28 years old in April and is the face of the Rockies' franchise, a ballclub that has secured an NL wild card spot each of the last two seasons. The four-time All-Star has won the Gold Glove and Silver Slugger at third base in each of the last four seasons and has actually won the Gold Glove during all six of his MLB years. He's led the NL in home runs three of the last four seasons and RBI twice. Last season, Arenado hit .297/.374/.561 (133 OPS+) with 5.6 WAR. He's improved on his MVP finishes four years running, finishing eighth, fifth, fourth and third, respectively. It's not just the performance with Arenado, it's the durability, too. He's averaged 158 games played over the last four seasons. Arenado was set to hit free agency after the 2019 season, but instead he's got a contract that looks to be paying him an average annual value of $32.5 million. The $32.5 million AAV trails only Zack Greinke's $34.4 million, but makes Arenado's salary the highest ever -- again, going by average annual value -- among position players, topping Miguel Cabrera's $31 million. Only Giancarlo Stanton (13 years, $325M), Machado and Alex Rodriguez (10 years, $275 million) have signed bigger deals than this one. After a 6-0 start, the Illinois baseball team made its first appearance Monday in the D1Baseball.com Top 25, taking the last spot at No. 25. Illinois is 6-0 for the first time since 2015 when the Illini climbed as high as No. 2 in the national rankings. Illinois (6-0) is one of 18 teams with an undefeated record after two weeks of the season. Eight of those teams are ranked, including Big Ten counterpart Michigan at No. 17. The Illini have a big weekend coming up in South Carolina including a ranked matchup at No. 20 Coastal Carolina on Friday. It will be Illinois' first ranked-vs.-ranked game since the 2015 NCAA Super Regional against Vanderbilt and the first ranked-vs.-ranked regular season game since No. 6 Illinois swept a series at No. 23 Ohio State in May 2015. The Gonzaga Bulldogs are now on top of the college basketball world. The AP Top 25 and the newly released Coaches Poll both have Mark Few's 27-2 team as No. 1 in college basketball. The change atop was catalyzed because of UNC's win at Duke on Wednesday. Gonzaga is 14-0 in the WCC and can close out a perfect league slate this week if it wins at Pacific and at Saint Mary's. Meantime, Duke drops to No. 2 in the Coaches Poll; UNC is in the top five and joined by Virginia and Kentucky. The only one-loss team in college basketball, the Houston Cougars, are No. 6. Tennessee's loss to LSU didn't drop the Vols too much; they're seventh, followed by Michigan State, Marquette and Michigan. On the back end of the poll, two newcomers from opposite ends of the country: Wofford (24-4) and Washington (22-5) tied for 25th in voting. Like Gonzaga, Wofford is unbeaten in league play. They're the only two schools that can claim that. The Clinton Maroons fell to Springfield Lanphier by a score of 70-53 on Monday night from Clinton High School as a part of Class 3A Regional quarter-final action. The Maroons were led by Cal Case with 17 points. Zeke Hickman added 11 points and Matt Overton added 9 points. With the loss, the Maroons finish their season 11-20 overall. Illinois State defeated Central Arkansas by a final score of 6-3 Monday afternoon. Both teams scored all of the runs in the final inning of play, as the Redbirds split the four-game series in Conway. Joe Aeilts finished 3-for-5 with an RBI double in the ninth inning. Jeremy Gaines finished 3-for-4 with an RBI. Joe Libman, Derek Parola, and Aidan Huggins each drove in runs in the ninth inning. Colton Johnson went six shutout innings but did not factor in the decision. He allowed three hits, issued two walks and struck out four. Jacob Gilmore picked up the win in relief going 2.1 innings allowing three hits, three runs, two earned, issuing a walk and struck out two. Illinois State will face off against Murray State next weekend in Kentucky. The Clinton Maroons will open Class 3A boys basketball postseason play tonight when they take on Springfield Lanphier from Clinton High School as a part of the Clinton Regional. The Maroons enter action tonight winners of three of their last four games. They are 11-19 overall. The winner of tonight's game awaits Lincoln tomorrow night at 7 pm. Tip time tonight from Clinton High School is 7 pm. Hear all the action on 92.3 FM WHOW in DeWitt County, 106.5 FM WHOW in Logan County and online all the time at dewittdailynews.com. 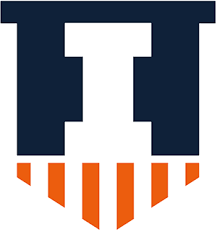 The Illinois baseball team finished off a three-game series sweep Sunday at Florida Atlantic with an 11-10 win in 10 innings. Jack Yalowitz singled home the winning run in the 10th after Illinois held 5-0 and 9-5 leads. Illinois (6-0) won its first six games for the eighth time in the 140-year history of the program. The 6-0 start is the first since 2015 when Illinois went on to win 50 games and advance to the NCAA Super Regional. The top eight hitters in the Illinois lineup had at least one hit and at least one run scored Sunday, as the Illini totaled a season-high 19 hits. 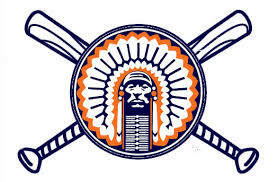 Illinois boosted its team season batting average to .314 and runs per game to 7.2. Branden Comia led the charge with four hits, while Zac Taylor had three hits and three runs and Kellen Sarver had three hits, two runs and two RBIs. Cam McDonald drove in four to increase his season total to seven, the most on the team. Ryan Schmitt (1-0) got the win for Illinois by pitching the final out of the eighth then throwing a clean ninth. Quinten Sefcik earned the first save of his career by retiring FAU in order in the 10th. Illinois is back in action Friday for the start of a four-day, four-game weekend in South Carolina. 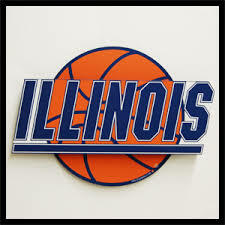 The Illini start the weekend with Coastal Carolina before games against Northeastern (Saturday and Monday) and Connecticut (Sunday). The Illinois State baseball team split a Sunday doubleheader against the Central Arkansas Bears. The Redbirds won game one 8-0. However, they fell to the Bears 4-1 in game two. Joe Butler tallied three RBIs for the two games, Jordan Libman drove in a pair of runs in game one and Joe Aeilts finished 2-for-4 with a run in game two. In game one, Jeff Lingren picked up his second win of the season with 6 shutout innings pitched, allowing two hits, walking one and striking out six. In game two, Matt Walker went five innings, done in by six walks to eight strikeouts despite allowing just one hit and an earned run. Illinois State and Central Arkansas finish off the four-game set today w a first pitch scheduled for 12 p.m.
Jason Spezza broke a tie on a 5-on-3 power play midway through the third period and Dallas beat the Chicago Blackhawks 4-3 on Sunday after blowing a three-goal lead. The victory was overshadowed by the loss of Mats Zuccarello with what he thought was a broken right arm in his first game with Dallas. Acquired from the New York Rangers on Saturday, Zuccarello had a goal and assist, but left after two periods and is expected to be sidelined at least four weeks. On the winner, Spezza took Alexander Radulov's feed across the crease and tapped the puck past goalie Cam Ward. Radulov and Radek Faksa also scored and Anton Khudobin made 44 saves for the Stars, who pulled two points ahead of idle Colorado and into the first Western Conference wild card. Dallas forward Jamie Benn suffered an upper-body injury during the first shift of the game and didn't return. He's out day-to-day. Despite being outshot 47-29 as the Blackhawks came on late, the Stars prevailed after a listless 3-0 loss at home to Carolina on Saturday. Chicago star Patrick Kane was held off the scoresheet, ending his points streak at 20 games, even though he was visible in creating chances. Chris Kunitz, Drake Caggiula and Jonathan Toews tied it for Blackhawks after they fell behind 3-0 early in the second period. Duncan Keith and Erik Gustafsson each had two assists, and Ward stopped 25 shots. Chicago dropped its second straight game after winning 10 of 12. For the second straight game, Chicago dominated for most of the contest but didn't get a point. Chicago D Brent Seabrook returned after missing three games with an abdominal strain. C Marcus Kruger was back in action after leaving Friday's game after blocking a shot. The Blackhawks are at Anaheim on Wednesday night. The 22-year-old Donato, who has four points in three games since he arrived, launched his shot from behind the left circle to beat Blues goalie Jake Allen's glove for the winner. Jason Zucker had the first goal, Jonas Brodin had two assists and Devan Dubnyk stopped 27 shots for the Wild, who took three of four games from the Blues in the season series with the only loss a 4-0 decision here one week ago. The Blues host Nashville on Tuesday night. The stats, as incredible as they were, don't tell the whole story of Dustin Johnson's monster 2019 WGC-Mexico Championship win, the 20th PGA Tour victory of his career. D.J. touched off a five-stroke title over Rory McIlroy and 10 strokes over the rest of the field with a tidy 5-under 66 on Sunday in the final round that included a closing 31 on the back nine, just for show at that point. Johnson made his first bogey of the week on the third hole on Sunday (he also had a double bogey on Saturday) and stalled a little bit with eight 4s and a 3 on the front nine. McIlroy didn't truly push him as he shot a 1-over 36 of his own on the front. Then the fireworks started. Johnson birdied his first two on the back nine, and he and McIlroy combined for a best ball 29 coming home with 11 birdies between them, which was good for Rory but great for D.J. Add them all up and Johnson had 22 birdies and an eagle on the week. He finished second from tee to green and first in putting. He gained over five strokes per round on the best field of the year in a sport where anything north of five is pretty much a guaranteed victory. He was more or less flawless on the scorecard, but that doesn't mean there weren't bumps along the way. Johnson got multiple fortuitous rulings on the weekend that allowed him free drops clear of debris. He also made par-saving putts of 18 feet and 6 feet on the front side in his final round. When the final 18 tried to go sideways, Johnson wouldn't let it. He wrestled it into the ground, defeated one of the best in the game playing as well as he's played in years and made a bit of history in the process. He joined only Tiger Woods, Tom Watson, Phil Mickelson, and Johnny Miller to reach 20 PGA Tour wins before the age of 35. McIlroy finished five shots clear of third but five back of the thoroughbred ahead of him. If there was a hole he'd probably like to have back it would be the par-5 sixth, which played to an average of about 19 strokes on the week. McIlroy made three bogeys there (including one on Sunday) and played it in 23 strokes. Still, that's four straight top-five finishes to start the season and two straight weeks of 63s. Justin Thomas finished ninth and shot a 62 -- which tied his own course record -- with 10 birdies, seven pars and a bogey. He was eight strokes better with his putter on Sunday than he was on Saturday (-4.9 to +3.1) and finished first in the field in strokes gained from tee to green, too. It was not quite the round of the tournament (McIlroy holds that distinction from his play on Thursday), but it was an absolute show as J.T. made nine birdies in his first 12 holes and looked as if he would maybe do what he's done before: shoot 59 with a bogey. Tiger Woods tied for tenth and hit the ball really well all week and seemingly unlocked whatever secrets he needed to solve the Mexican altitude. He three-putted four times, though, and tossed in another four-putt to finish outside the top 60 in putting in both weekend rounds (there were only 72 players in the event). He did give us the shot of the event on Friday, though, when he hit this twisting, ludicrous bunker shot that spun hard right and scared the hole. We forget because it was 12 months ago, but having Big Cat seriously contend at WGC events and talking about his strokes gained-putting instead of his strokes gained back surgeries is a great place for golf to be. CHAMPAIGN, Ill. (AP) — Lamar Stevens scored 25 points and Mike Watkins got his 26th career double-double as Penn State beat Illinois 83-76 on Saturday. Illinois had won four of its last five games coming into Saturday’s game, losing to No. 22 Wisconsin 64-58 in Madison. Three players scored in double-figures for GCMS, who made 9 of 18 three-point attempts and held off a late rally by the Monticello Sages for a 63-52 Regional Championship Friday night in Class 2A boys basketball regional final action from Monticello Middle School. After a Devin Graham layup to start the second half and cut the score to 34-25, but GCMS went on a 13-0 run to open up their largest lead of the night at 47-25. The Sages would cut the deficit to 61-52 with 20 seconds to play but the Falcons size, speed and quickness were too much. GCMS controlled the glass in the second half 20-12 for a 35-27 advantage for the game. Both teams finished with more assists than turnovers, as Monticello dished out 13 assists to 12 turnovers while GCMS finished with 15 assists and ten turnovers. Rylan Holt finished with a double-double with 21 points and ten rebounds. Connor Birky added 17 points, seven rebounds and five assists. Ben Freehill chipped in with 11 points for the Falcons. Illinois football commit Bryce Barnes added six points and pulled down 11 rebounds. Ethan Miller led the Sages with 12 points, all in the second half and nine in the fourth quarter, all from beyond the arc. Graham added 11 points and pulled down a team-high five rebounds. The Sages finish their season 21-8 and GCMS improves to 29-2 and advances to the Unity Sectional next week. It'll be a rematch of a thrilling regional final last year tonight in Monticello when the Sages take on GCMS in a regional final matchup in boys Class 2A postseason basketball action from Monticello Middle School. The Sages held off a frantic rally by the Falcons in the fourth quarter last year when Ben Singleton made a buzzer-beating layup to edge GCMS 45-43. Last season, Monticello led 41-33 to start the fourth quarter as the Sages were state-ranked. GCMS used a frantic comeback in the final moments of the ballgame to tie the game at 43 but Singleton drove the lane on a broken half court set and banked in a three-footer as time expired for the Regional title. This season it is GCMS who enters play in the top 10 of the Class 2A rankings. The Falcons are 28-2 overall and ran the table in the Heart of Illinois conference, finishing 11-0. The Sages enter action 21-7 overall and are looking for their sixth regional title in seven years. The winner of tonight's matchup faces the Broadlands-Heritage Regional winner between Tuscola and Tolono Unity. Game time tonight is 7 pm and can be heard on 95.9 FM WEZC and online at dewittdailynews.com. The Clinton Maroons wrap up their regular season tonight when they play host to Prairie Central in Fairbury. It's been an up and down 10-19 season for the Maroons with good wins against quality opponents and frustrating losses but the Maroons will look to finish the regular season strong coming off a Tuesday night 54-48 win over Mt. Zion. As the regular season wraps up, the Maroons will prepare for a Monday night Class 3A Regional quarterfinal matchup at Clinton High School against Springfield Lanphier. Tonight's action tips at 7:30 pm. Monday's tip time is 7 pm and can be heard on 92.3 FM in DeWitt County, 106.5 FM in Logan County and online worldwide at dewittdailynews.com. With Jamie Benn scoring two of the four goals Dallas got in a span of just more than 12 minutes in the second period, one of those redirecting a flying puck with his stick, the Stars beat St. Louis 5-2 on Thursday night to end the Blues' franchise-record 11-game winning streak. Anton Khudobin stopped 43 shots while starting his seventh consecutive game for the Stars. Regular starting goaltender Ben Bishop, who missed the previous six games with an upper-body injury, was active and on the bench as the backup after going through an optional practice Wednesday. The Blues were without C Brayden Schenn, who sustained an upper-body injury in their 3-2 overtime win against Toronto on Tuesday night. The Blues are at Boston on Saturday. Indiana State scored first and led all the way and Key and Neese each hit a pair of 3-pointers, De’Avion Washington added another and Emondre Rickman contributed a dunk to the 21-4 start. The Sycamores led 37-21 at the break. Patrick Kane's second goal of the game, with 2:18 left in overtime, gave the Chicago Blackhawks a 5-4 victory over the Detroit Red Wings on Wednesday night. Kane extended his point streak to 19 games and helped the Blackhawks recover after blowing a 4-1 lead in the third period. Artem Anisimov, Brandon Saad and Alex DeBrincat scored for Chicago in the first period. The Blackhawks have won 10 of their last 12 games, and this was the seventh time in that span that they scored at least five goals. Chicago is now tied with Colorado for the last playoff spot in the Western Conference. Chicago beat Ottawa 8-7 on Monday, and the Blackhawks went through another high-scoring night against Detroit. Kane has 16 goals in 26 assists during his point streak. The Blackhawks host Colorado on Friday night. Nearly everyone who starred in last week's thriller at Riviera is back in the field this week at the WGC-Mexico Championship, the first World Golf Championships event of 2019. Tiger Woods, Justin Thomas, Rory McIlroy and Jordan Spieth all headed over from Riviera, and they'll be joined by Rickie Fowler, Dustin Johnson, Bryson DeChambeau and Brooks Koepka in the best field of the year so far. This tournament has produced, too, with a D.J. win in 2017 followed by a J.T.-Phil Mickelson playoff last season, they'll all play together in the first two rounds of the tournament as one of the four featured groups. Tiger gets pal DeChambeau as well as the top-ranked Mexican player in the world, Abraham Ancer. The star power doesn't end there, though. Rory McIlroy, Brooks Koepka and Bubba Watson are a trio, and so are Rickie Fowler, Jon Rahm and Patrick Reed. Interestingly, Jordan Spieth -- coming in off an 81 at Riviera on Sunday -- is not part of the featured groups coverage. Despite a frantic finish in regulation by the Warrensburg-Latham Cardinals, the Monticello Sages held on in double-overtime for a 57-51 win in boys basketball regional semifinal action Wednesday night from Monticello Middle School. The Sages will advance for a rematch of last year’s regional final at Hoopston with GCMS Friday in Monticello. Garrett Kepley made two free throws with 2:49 left in regulation to give the Sages a 40-33 lead, but the Cardinals finished on an 11-4 run after Will Kent made one of two free throws with 1.3 seconds left in regulation to tie the game at 44 and send it to overtime. In the first overtime, the Sages fell behind 47-44 but Kepley hit a big three-pointer with 51 seconds left to tie the game and neither team could score, sending them to a second overtime. In the second overtime, Ethan Miller and Tanner Dawson traded threes in the first minute but the Sages finished the overtime on a 7-1 run that sealed the win. Jarius Ingrum led all scorers with 23 points. Miller scored all 15 of his points in the second half to lead Monticello, including 13 in the fourth quarter and overtime. Kepley added 12 points and Ryan Reeder added 11 points. Devin Graham pulled down a game-high 11 rebounds and scored nine points and dished out six assists. The Cardinals end their season 18-14. Monticello improves to 21-7 and will take on GCMS Friday night at 7 pm for a Regional title. Hear all the action on 95.9 FM WEZC and online at dewittdailynews.com. Brady Ellingson had 17 points to lead five Drake players in double figures as the Bulldogs topped Bradley 77-68 on Tuesday night. D.J. Wilkins added 14 points for the Bulldogs. Tremell Murphy chipped in 13, Nick McGlynn scored 13 and Anthony Murphy had 12. Murphy also had nine rebounds for the Bulldogs, while McGlynn posted nine rebounds and three blocks. Elijah Childs scored a career-high 24 points and had nine rebounds for the Braves (15-13, 7-8 Missouri Valley Conference), whose four-game win streak was broken. Dwayne Lautier-Ogunleye added 13 points and 10 rebounds. The Bulldogs improve to 2-0 against the Braves for the season. Drake defeated Bradley 69-52 on Jan. 16. Drake (21-7, 10-5) will pursue its fifth consecutive win on Sunday when the team visits Illinois State. Bradley matches up against Evansville at home on Saturday. The Monticello Sages won five of their final six games of the regular season and hope to be peaking at the right time as they enter regional play tonight when they take on Warrensburg-Latham from Monticello Middle School in boys Class 2A regional semifinal action tonight. The Sages most recent victory was a 55-26 win over Olympia Friday night. Perhaps the most convincing win in that stretch was a 51-32 win over Decatur St. Teresa when Monticello held the Bulldogs without a field goal in the first half. The Cardinals enter action off a dominating 60-25 win over Argenta-Oreana in Monday regional quarterfinal action Monday. Warrensburg-Latham enter play 18-13 overall while Monticello finished the regular season 20-7. This season marks the fifth 20-win season in the last seven years under Kevin Roy for the Sages. Game time tonight is 7 pm. Hear the action on 95.9 FM WEZC and online at dewittdailynews.com. Ryan O'Reilly scored 34 seconds into overtime and the St. Louis Blues beat the Toronto Maple Leafs 3-2 on Tuesday night for their franchise-record 11th straight victory. O'Reilly started the game-winning sequence with a stellar defensive play to break up a Maple Leafs chance. The effort created a 2-on-1 break with Vladimir Tarasenko, but O'Reilly took the shot himself. Jaden Schwartz and Colton Parayko also scored and Tyler Bozak had two assists for the Blues. Jordan Binnington made 29 saves to win his ninth straight, extending the longest winning streak in franchise history for a rookie goaltender. Zach Hyman and Auston Matthews scored third-period goals as the Maple Leafs erased a 2-0 deficit. Frederik Andersen made 38 saves as Toronto wrapped up a six-game road trip with a 3-2-1 mark. Vladimir Tarasenko had his NHL-high 12 game points streak snapped. Tarasenko was named the NHL's second star of the Week on Monday. He had four goals and six assists and was plus-7 for the week ending Feb. 1. The Blues are at Dallas on Thursday night. The San Diego Padres have agreed to terms with free-agent infielder Manny Machado, reports ESPN's Jeff Passan. Machado, 26, is one of the most coveted free agents in MLB history, and the Padres' landing of him marks a major coup this offseason. Mark Feisand of MLB.com says quote - "Machado has agreed to terms on a deal with the Padres. According to a league source, it’s for 10 years and $300 million - the biggest free-agent contract in the history of American sports." Machado is coming off a strong 2018 for the Orioles and then Dodgers, who acquired him leading up to the July 31 non-waiver trade deadline. For his career, Machado has 31 home runs and 37 doubles per 162 games played across parts of seven big-league seasons. Even after the Machado signing, the Padres are still under $115 million for payroll in 2019, so there's room to do even more if they're willing. It's also worth noting that because Machado was traded during the 2018 season, he was not eligible to receive a qualifying offer from the Dodgers. That in turn means that the Padres will not have to forfeit a draft pick for signing Machado. The Maroons scored the first basket of the game Tuesday night and never looked back in a 54-48 victory over Mt. Zion to spoil the Braves' senior night. Ben Nelson paced the way for the Maroons with 19 points Tuesday night. Cal Case chipped in 11 points in the non-conference victory. For the Braves, they were led by Mekhi Adams with 15 points. Braden Highley added 14 points in the losing effort. With the win, the Maroons improve to 10-19 on the season. The Braves fall to 4-24 overall. Catch the Maroons on WHOW and dewittdailynews.com in their regional quarter-final match-up against Springfield Lanphier on Monday, February 25th at 7p at Clinton High School. The Warrensburg-Latham Cardinals used a 35-8 first half to blow past Argenta-Oreana 60-25 in boys Class 2A reagional basketball action from Monticello Middle School. The Cardinals opened up on a 12-0 run and at the 4:36 mark of the second quarter had a 24-4 advantage, leading by as many as 38 late in the third quarter. Jarius Ingram led all scorers with 22 points, the only scorer in double figures for either side. Skyler Peterson and Logan Batson each scored eight points for the Bombers who finish their season 7-21 overall. Warrensburg-Latham improves to 18-13 overall and advances to a regional semifinal matchup with Monticello Wednesday night at 7 pm. Hear the action on 95.9 FM WEZC and online at dewittdailynews.com. Brad Davison scored 18 points, Khalil Iverson added 16 and the No. 22 Badgers held off Illinois 64-58 on Monday night with their leading scorer on the bench for the final four minutes. Ethan Happ, who averages 18 points, scored just six points on 3-of-7 shooting, was 0 for 3 from the foul line and had three turnovers, including one just before he went to the bench. He also has proven a liability from the line in crunch time in past games, shooting less than 45 percent from the line. But Gard said he benched Happ because of his decision making, not his past struggles from the line. In stepped Davison and Iverson for the Badgers (18-8, 10-5 Big Ten). Davison’s jumper put the Badgers up 54-52 with 3:21 left, giving them the lead for good. After Iverson blocked Giorgi Bezhanishvili, Davison collected the loose ball to take it in for a layup and a 56-52 lead with 2:45 to go. From there the teams traded blows until Nate Reuvers’ putback dunk on a missed 3 gave Wisconsin a 62-58 lead. Iverson then stole the ball on the next Illinois possession following a timeout, helping put away the game. Aaron Jordan finished with 12 points for the Illini, while Ayo Dosunmu added 11 and Bezhanishvili 10. The Illini had won four straight coming in and were looking for their first five-game conference winning streak since 2013. Instead, they lost their 15th in a row to the Badgers, the longest streak to any Illinois opponent. Illinois hosts Penn State on Saturday. Fighting Illini freshman Ayo Dosunmu has earned Big Ten Freshman of the Week honors for the second straight week following his clutch performance in Illinois' road win at Ohio State, the conference announced on Monday. Dosunmu led the Illini to their fourth straight win and first road win of the season last Thursday, scoring a team-high 15 points with four rebounds and game-high three assists in the victory at Ohio State. He came up big during crunch time, hitting a 3-pointer with 29 seconds left to push the lead from three to six points. Dosunmu scored or assisted on nine of Illinois' final 15 points as the Orange and Blue earned their first win in Columbus in 10 years. The last Illini B1G Freshman of the week prior to Dosunmu's current two-week reign was Trent Frazier on Feb. 12, 2018. Frazier was Freshman of the Week on two occasions last season. Tennessee's first loss since November has brought Duke back to the No. 1 spot in the AP poll. Monday's rankings dropped the Volunteers, who fell in record-setting fashion at Kentucky on Saturday night, down to fifth. Kentucky bumps up to No. 4, while Virginia and Gonzaga remain constants near the top of the rankings. The biggest riser this week is LSU, which moves up six spots to No. 13 after its road wins vs. Kentucky and Georgia moved the Tigers to 21-4 and moved them into a first-place tie in the SEC standings with Tennessee. The biggest fall inside the poll this week is Kansas State's: the Wildcats go from 18th to 23rd after losing at home Saturday to Iowa State, which is now No. 19. Kentucky's dominant showing over No. 1 Tennessee on Saturday earned it a bump in the latest USA Today Coaches Poll. The Wildcats moved from No. 5 to No. 4, despite losing to LSU earlier in the week, leapfrogging Tennessee, which fell four spots to No. 5. The fall of the Vols benefited last week's top 5 teams, as each moved up a spot. 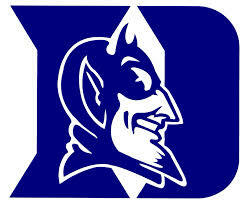 As a result, Duke is the new No. 1, receiving 28 of a possible 32 first-place votes. The Blue Devils rallied from a 23-point deficit to take out ACC foe Louisville on Tuesday, then blew out NC State at home on Saturday to improve to 23-2 overall. Gonzaga received the four remaining first-place votes available this week in its bump from No. 3 to No. 2. Virginia is ranked third this week, and Kentucky and Tennessee round out the new top 5. Alex DeBrincat had three goals and two assists, and the Blackhawks held on to beat the Ottawa Senators 8-7 on Monday night for their ninth win in 11 games. The five points for the 21-year-old set a career high, and his fourth NHL hat trick gave him 32 goals in his second season..
Patrick Kane scored his 36th goal and added two assists to extend his point streak to 18 games - with 14 goals and 26 assists during the stretch- the longest by a player in the NHL this season. Strome also had a goal and two assists in his fourth three-point game since joining the Blackhawks on Nov. 25, and Brandon Saad, Gustav Forsling and Jonathan Toews also scored to help Chicago move a point behind Minnesota for the second wild card in the Western Conference. The Blackhawks led 5-4 after a wild first period loaded with defensive breakdowns and few soft goals. Both starting goalies - Chicago's Collin Delia and Ottawa's Anders Nilsson - were pulled before the end of the period. Kane has assists in 17 straight games, matching Wayne Gretzky and Paul Coffey for the third longest assist streak in league history. Only Gretzky (23 games in 1990-91) and Adam Oates (18 games in 1992-93.) have had longer such streaks. The Blackhawks are at Detroit on Wednesday night. The IHSA has announced the first round matchups for the boys Class 3A & 4A basketball postseason. The Clinton Maroons find themselves in Class 3A again this year. They will host a regional next week at Clinton High School. The tenth-seeded Maroons will take on #6 seed Springfield Lanphier on Monday, February 25th, at 7pm. You can hear the game right here on WHOW. The Maroons will wrap up their regular season this week with a trip to Mt. Zion Tuesday night (our WHOW Game of The Week broadcast for this week), and then travel to Prairie Central Friday night. All of our Clinton Maroons sports broadcasts are also streamed live at DeWittDailyNews.com, and on the WHOW app! 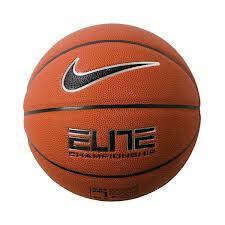 The Girls IHSA Basketball Postseason continues tonight (Mon). Class 1A & 2A are in the Super-Sectional round to see who heads to Redbird Arena this weekend for the state tournament. No local 1A teams have survived to the Elite Eight this season, but in Class 2A Saint Joe-Ogden plays in the Super Sectional tonight at Pontiac. They'll take on Palos Heights (Chicago Christian) at 7:30pm. 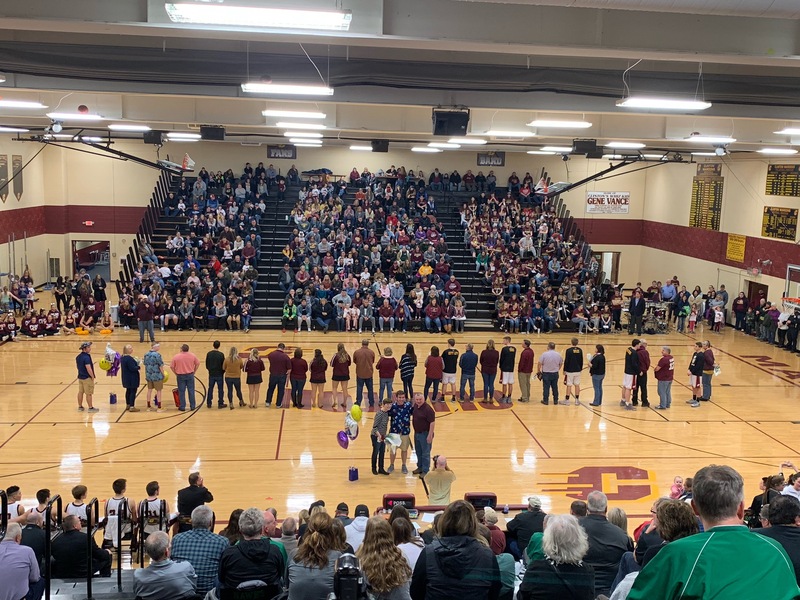 The Clinton Maroons fell to Olympia by a score of 55-60 on Saturday night. The Maroons were led by Matthew Overton with 13 points. Cal Case and Jake Torbert each added 10 points. Olympia was led by Ethan Davis and Hunter Berges with 18 points apiece. With the loss, Clinton falls to 9-19 on the season and Olympia improves to 3-26. Cyrillo Watson threw six shutout innings to lead the Illinois baseball team to a 4-0 win against Sacred Heart at David F. Couch Ballpark. The Fighting Illini swept the three-game weekend with wins over Georgetown, No. 20 Wake Forest and Sacred Heart. Watson struck out a career-high eight while scattering five hits and not allowing a walk. Only twice did a runner reach scoring position against Watson. Zac Taylor led the Illini with two doubles and freshmen Cam McDonald and Branden Comia drove in one run each. Cam McDonald and Michael Massey had four hits apiece on the weekend and McDonald led Illinois with four RBIs. The Illini are back on the diamond next weekend for a three-game series at Florida Atlantic. The Illinois State Redbirds defeated the Belmont Bruins by a final score of 10-6 in a Sunday matinee in Nashville. The Redbirds scored double digit runs in each of the three games this weekend to sweep the Bruins. Joe Aeilts led the Redbirds bats with a two-run home run and three runs scored. Ryan Hutchinson added a two-run double and three runs scored. Tyson Hays had a two-run triple and a run scored. Matt Walker started and earned the win, lasting three innings, allowing four hits, two unearned runs with three walks to five strikeouts. Illinois State will face off against Central Arkansas next weekend in a four game series with a doubleheader scheduled on Saturday. Darrell Brown had 13 points for Bradley (15-12, 7-7 Missouri Valley Conference), which earned its fourth consecutive win. Ja'Shon Henry added 11 points. Dwayne Lautier-Ogunleye had 11 points for the visitors. Milik Yarbrough had 20 points and eight rebounds for the Redbirds (14-13, 7-7), who have now lost four consecutive games. Phil Fayne added 18 points and 11 rebounds. Matt Chastain had seven rebounds. The Braves improve to 2-0 against the Redbirds on the season. Bradley defeated Illinois State 85-68 on Jan. 23. Bradley plays Drake on the road on Tuesday. Illinois State plays Indiana State on the road on Wednesday. Giannis Antetokounmpo led everybody with 38 points on 17 for 23 shooting for the club he drafted. Paul George and Khris Middleton each scored 20 points for Team Giannis, which got 17 apiece from Stephen Curry and Russell Westbrook. Binnington made 21 saves to blank Arizona on Thursday, and Jake Allen stopped 32 shots in a 3-0 win against Colorado on Saturday. The Clinton Maroons will take on Springfield Lanphier in the quarter-final round of the IHSA Class 3A boys basketball playoffs starting Monday, February 25 at Clinton High School. The Maroons are the tenth seed while Lanphier is the sixth seed. The winner will take on Lincoln Tuesday, February 29 at Clinton High School. Quincy Notre Dame and Taylorville will play Wednesday night at 7 pm. Game time Monday night from Clinton High School is 7 pm. Hear the action on 92.3 FM in DeWitt County, 106.5 FM in Logan County and online all the time at dewittdailynews.com. A lackluster first half was by Monticello was quickly erased by a monster second half as the Sages rolled past Olympia 55-26 Friday night in the regular season finale at Monticello High School in boys Illini Prairie Conference action. While never trailing, the Sages only led 20-13 at the half against the Spartans, who entered action with just 2 wins to 25 losses on the season. A poor 26-percent shooting first half that saw the Sages go 2-for-14 from distance was quickly forgotten after Monticello opened up a 20-plus point lead quickly in the third quarter. Monticello outscored Olympia 25-13 in the second half. Garrett Kepley was excellent in sparking a Sages second-half rally as he led all scorers with 14 points off the bench. Ben Singleton added 11 points and four rebounds. Luke Priebe (pre-bee) led Olympia with 12 points off the bench. Monticello controlled the glass 37-27 and dished out 13 assists to just eight turnovers. Additionally, they forced the Spartans into 16 turnovers, leading to 18 points. The Sages wrap up the regular season 20-7 and finish 5-4 in the Illini Prairie Conference. It is their fifth win in six games as they open Regional action next Wednesday. A matchup with the winner between Argenta-Oreana and Warrensburg-Latham awaits them next Wednesday at Monticello Middle School. Game time next Wednesday is at 7 pm. Hear the action on 95.9 FM WEZC and online at dewittdailynews.com. Olympia wraps up their regular season tomorrow night at Clinton High School. In a game heard on WHOW, the Clinton Maroons defeated the Meridian Hawks by a score of 62-50 on Friday night. The Maroons were led by Matthew Overton with 28 points. For Meridian, they were led by Garrett Meisenhelter with 28 points. With the win, Clinton improves to 9-18 overall and 3-4 in the CIC. Meridian falls to 20-10 on the season and 3-4 in conference play. Tune in Tuesday, February 19, as the Maroons take on Mt. Zion. You can hear the game live on the Big 1520 AM/92.3 FM/106.5 FM WHOW, online at dewittdailynews.com, and on the WHOW app. The Clinton Maroons will be looking to snap a six-game losing streak and get on the right track with the Class 3A postseason coming up, meanwhile, the Meridian Hawks are looking to stay hot as the Class 2A postseason approaches next week. The Maroons are losing of six straight and will take on Meridian tonight in Central Illinois Conference action. The Hawks have rattled off four straight and will look to end the year on a good note before heading to the Olympia Regional next week. The Maroons enter action 8-18 overall and 2-4 in the Central Illinois Conference. Meridian is 20-9 and 3-3 in conference action. Hear tonight's action from Clinton High School on 92.3 FM in DeWitt County, 106.5 FM in Logan and everywhere at dewittdailynews.com. The Monticello Sages have rattled off four wins in their last five matchups and look to finish the regular season strong tonight when they host Olympia for senior night at Monticello High School in Illini Prairie Conference boys basketball action. The Sages rolled Unity 46-31 Tuesday night to move to 18-7 overall and 4-4 in the Illini Prairie Conference. Game time tonight from Monticello is 7 pm and can be heard on 95.9 FM WEZC and online at dewittdailynews.com. Trent Frazier had 15 points and Ayo Dosunmu buried a key 3-pointer with 29 seconds remaining as Illinois held off Ohio State 63-56 Thursday for its fourth win in a row. Dosunmu also scored 15 points and Giorgi Bezhanishvili added 13 for the Illini (10-15, 6-8 Big Ten), who won their first true road game of the season. The loss snapped a three-game win streak for the Buckeyes (16-8, 6-7), who committed 18 turnovers leading to 14 Illini points. Dosunmu made two free throws to give Illinois the lead for good with 8:15 to play and his 3-pointer three minutes later made it 51-46. Luther Muhammad hit two foul shots to pull the Buckeyes within three with 57 seconds left but Dosunmu, who scored nine points in the final eight-plus minutes, answered with a 3. C.J. Jackson led Ohio State with 17 points, but he also had seven turnovers. Brothers Kaleb and Andre Wesson contributed 11 and 10 points, respectively, as Ohio State shot just 36 percent from the field, including 15 percent (2 of 13) from beyond the arc, while missing 10 layups. Bezhanishvili had just two points in the first half but scored Illinois’ first seven points of the second. Illinois shot 44 percent from the field. Keyshawn Woods, who scored 18 points in Ohio State’s Dec. 5 win against Illinois, was held to just three points. Illinois visits No. 20 Wisconsin on Monday. Patrick Kane scored his 34th goal and added two assists to lead Chicago to a 5-2 win over the New Jersey Devils on Thursday night for the Blackhawks' eighth victory in nine games. Kane extended his points streak to 16 games and moved into second in NHL scoring with 85 points. He has 12 goals and 22 assists during the run and also extended his assists streak to 15 games, eclipsing Stan Mikita's team record set in 1967. Brandon Saad and Artem Anisimov each had a goal late in third period to break open a tight game and added an assist. Jonathan Toews and Drake Caggiula also scored for the Blackhawks who have climbed back into the fray for a wild-card spot in the Western Conference after a miserable start. Cam Ward stopped 41 shots, and had to be sharp in the third period to keep the Blackhawks in front after they battled back from an early 2-0 deficit to take a 3-2 lead in the second. Damon Severson and Travis Zajac scored to give the Devils a 2-0 lead with a little more than three minutes left in the first period before the Blackhawks took over. New Jersey has lost two straight and five of its last six. Devils goalie Cory Schneider finished with 31 saves to extend his regular-season winless streak to 24 games. He is now 0-17-4 since his last win Dec. 27, 2017. Kane recorded three or more points for the 10th time this season to help Chicago rebound after a 6-3 loss in Boston on Tuesday. The Blackhawks host Columbus on Saturday night. Jordan Binnington matched a franchise rookie record with his seventh straight victory, Vladimir Tarasenko scored twice and the Blues stretched their winning streak to eight games with a 4-0 win over the Arizona Coyotes on Thursday night. Joel Edmundson scored early in the first and had an assist on Tarasenko's goal late in the period. Tarasenko put the Blues up 3-0 late in the second period with a power-play goal, giving him nine goals and eight assists during a career-high 10-game points streak. Robert Bortuzzo scored his second goal of the third period for the Blues, who have their longest winning streak since 2000-01. St. Louis is 14-4-1 in 2019, including 9-2-1 on the road. Binnington made 21 saves to match Brent Johnson's rookie franchise-record winning streak set in 2000-01. Binnington had a shutout in his first career NHL start on Jan. 7 and has two more while going 11-1-1. Arizona gave up two goals in the first period and, despite playing better the final two periods, had a hard time generating scoring chances after the Blues packed it in defensively. Darcy Kuemper stopped 20 shots for Arizona, which has lost six of eight. St. Louis has been a different team since the start of the new year, though, winning behind Binnington and a high-scoring offense. The Blues jumped on the Coyotes early Thursday night, dominating the puck until scoring 3 1/2 minutes in when Edmundson swept a rolling pass from Jaden Schwartz past Kuemper's right pad. Tarasenko made it 2-0 with his 23rd goal, lifting his stick waist-high to deflect a pass from Edmundson under Kuemper's left arm. Tarasenko stretched the lead to three goals late in the second period, one-timing a pass from Brayden Schenn at the left circle for his 24th of the season. The Blues play at Colorado on Saturday. It was a long, soggy first round of the 2019 Genesis Open on Thursday at Riviera Country Club, and in the end, exactly zero golfers finished their first 18 holes. In a somewhat odd turn of events, players teed off at their normal start time of 6:40 a.m. PT to start the day, but the rains came not long after. The first groups had played just three holes, and tournament officials actually decided to wipe out the results and restart the entire event later in the afternoon after rain dissipated. When the tournament finally actually begin, it was a familiar face who raced out in front. Jordan Spieth is 5 under after 12 holes and tied with Sung Kang at the end of Thursday (neither finished his first round). Because of the lengthy delay, and because Riviera only experiences around 11 hours of sunlight, there's a good chance Friday's rounds will push into Saturday and Saturday's into Sunday. With more rain in the forecast, there's actually a chance that the event won't end on Sunday evening. Regardless, the show will go on, and with as many stars and superstars as are at this event, it should be a great one. Tiger Woods had a tee time just after noon local time, but he never even sniffed it. He will likely play his first round and at least a little bit more on Friday at a place where he missed the cut in 2018. Bradley plays Illinois State on the road on Saturday. Loyola of Chicago plays Missouri State at home on Sunday. Porter scored at ease, getting the Bulls' first six points in the third quarter and capping it off with a dunk off a pass from Zach LaVine. Porter later set up LaVine for a three-point play to give the Bulls a 80-66 lead with 7:21 left in the quarter. Porter was acquired a day before the deadline in a trade with Washington, where Joh Wall and Bradley Beal were the primary options. Mike Conley was back in the Grizzlies' lineup after missing Tuesday's 108-107 loss to the Spurs with an illness. He finished with 12 points. The Bulls travel to Orlando after the All-Star break to face the Magic on Feb. 22. Giannis Antetokounmpo rallied the Bucks from a 10-point fourth-quarter deficit, recorded his fifth triple-double of the season and led Milwaukee past Indiana 106-97. He finished with 33 points, 19 rebounds and 11 assists to keep the Bucks atop the Eastern Conference heading into the All-Star break. Antetokounmpo opened the game by making five of the Bucks' nine first-quarter baskets, assisting on the other four. And after Milwaukee fell into an 86-76 hole early in the fourth, he bailed them out by scoring 12 points on 4-of-6 shooting with six rebounds and three assists over the final 11 1/2 minutes. Every moment the Bucks needed a big play, Antetokounmpo made it. His driving layup out of a timeout with 9:17 to go ended Indiana's 7-0 run. His dunk with 5:06 remaining gave Milwaukee a 93-92 lead. His 10-foot turnaround jumper at the 3:51 mark tied it at 95, and his nifty pass to a wide-open Ersan Ilyasova for a tiebreaking layup with 2:36 left gave Milwaukee the lead for good. Antetokounmpo closed out the first half with a flourish - his 13th game with at least 25 points, 15 rebounds and five assists to break a tie with Shaquille O'Neal for the most in a single-season since 1976-77. Malcolm Brogdon scored 17 points and Khris Middleton added 15. Antetokounmpo followed his 5-of-7 start by missing six of his next seven shots as the Pacers charged back from 26-18 first-quarter deficit and a 55-47 halftime deficit to take the lead midway through the third quarter. They extended the margin to 10 on Tyreke Evans' 3-pointer with 9:37 left. But then the Bucks' best player steadied himself and his teammates, helping Milwaukee outscore the Pacers 30-11 the rest of the way. Bojan Bogdanovic led the Pacers with 20 points as Indiana's six-game winning streak ended. The Bucks return from the All-Star break by hosting Boston on Feb. 21. The Pacers close out a six-game homestand against New Orleans on Feb. 22. Jaden Schwartz got his first goal in 23 games - a span of 73 shots - on a night when no St. Louis player had trouble finding the net. Alex Pietrangelo and Ivan Barbashev each scored twice as the Blues won their seventh straight game, blowing out the New Jersey Devils 8-3 on Tuesday night. Ryan O'Reilly, Mackenzie MacEachern and Tyler Bozak also scored for the Blues, whose eight goals were a season high. St. Louis' winning streak is its longest since Jan. 17-Feb. 5, 2015, when it also had seven consecutive victories. The Blues are at Arizona on Thursday. Jack Eichel set up two goals to spark an opportunistic offense, and goalie Linus Ullmark stopped 24 shots - including all 10 in the third period - in an efficient 3-1 win over the Metropolitan Division-leading New York Islanders on Tuesday night. Alex DeBrincat, Duncan Keith, and Erik Gustafsson tallied goals for the Blackhawks. Ryan Reeder scored 12 of his 18 points in the third quarter and Monticello used a big second half to get past Tolono Unity 46-31 in Illini Prairie Conference boys basketball action Tuesday night from Monticello High School. Trailing 19-17 at the break, a lackluster effort from the Sages was quickly corrected as Reeder scored the first five points of the second half to give the Sages a 22-19 lead. Brady Porter three tied the game at 22 but it was all Monticello after that, as the Sages finished 24-9 the rest of the way. Porter also scored 18 points on the night, with 13 of those coming in the first half. Devin Graham pulled down a game-high eight rebounds and Unity’s Jake Crouse dished out a game-high five assists. The Sages improve to 19-7 overall and get back to five-hundred in league action at 4-4. Unity drops to 14-14 overall and is 2-6 in the Illini Prairie. The Sages conclude the regular season Friday at home hosting Olympia. Game time is 7 pm and can be heard on 95.9 FM WEZC and online at dewittdailynews.com. The Clinton Lady Maroons Fell to the Mahomet Bulldogs by a score of 54-31 on Monday night. The Maroons were led by Maddie Stevens with 12 points, Kaitlyn Rauch with 8 points, and Mallery Cyruilk with 6 points. The Mahomet Bulldogs was led by Maddy Wade with 15 points, Kailya Northop with 12 points, and Abby Kyle with 7 points. With the loss, the Maroons fall to 16-13 overall and 4-4 for CIC. Tune in Friday, February 15th as the Clinton BoyMaroons take Meridian. You can hear the game live on The Big 1520 AM/92.3 FM WHOW and online at dewittdailynews.com. Tonight the Clinton Lady Maroons will open girls Class 3A Regional action when they take on Mahomet-Seymour at Clinton High School. The Lady Maroons and the Lady Bulldgos will meet in a regional quarter-final matchup with the winner to advance to a Tuesday night Regional semifinal game against top-seeded Charleston. Also tonight at the Clinton Regional, Champaign Central and Rantoul tip at 7:30 pm with the winner to advance a Tuesday night Regional semifinal matchup against Urbana. Hear tonight's Clinton/Mahomet-Seymour action on WHOW at 92.3 FM in DeWitt County, 106.5 FM in Logan County and online at dewittdailynews.com. Game time is 6 pm. It's official: Kyler Murray is committed to playing football. 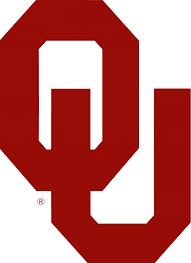 Murray, the 2018 Heisman Trophy winner out of Oklahoma, who was also a first-round pick of the Oakland Athletics, finally made his intentions clear on Monday in a message posted to social media. Murray wrote - quote - "Moving forward, I am firmly and fully committing my life and time to becoming an NFL quarterback," Murray wrote. "Football has been my love and passion my entire life. I was raised to play quarterback and I very much look forward to dedicating 100 percent of myself to being the best quarterback possible and winning NFL Championships." Quaterback-needy NFL teams will have to determine if Murray's a first-round talent, and if so, if he's worth trading up for. Duke's most impressive performance of the season in its 81-71 victory over Virginia on Saturday wasn't good enough to get the Blue Devils back to No. 1 in the AP Top 25 Poll. Tennessee, which has not lost since November, remains the top team in college basketball, according to the rankings released Monday. Duke stays at No. 2, while Gonzaga climbs up to No. 3 as the Cavaliers slip to No. 4. The Big Ten and ACC continue to populate the poll more than any other leagues: each has six teams in the latest rankings. Maryland jumps back into the fold at No. 24, while Kansas State boosts all the way up to No. 18 this week. Duke's dismantling of Virginia on the road this weekend loosened Tennessee's grip on the No. 1 spot in Monday's USA Today Coaches Poll, but not enough to pry it loose. The Volunteers are again No. 1 in the poll ahead of Duke, receiving 30 of a possible 32 first-place votes. Duke received the other two, only a week after UT collected all 32. Gonzaga, Virginia and Kentucky round out the reshuffled top-5; UVA's loss dropped it one spot, and as a result, Gonzaga bounced from No. 4 to No. 3. New to the top 10 of this week's rankings is Houston, which entered last week at No. 12. The Cougars (23-1) stand at No. 9 in this week's rankings, sandwiched in between North Carolina (9) and Marquette (10). They're the only club out of the AAC ranked this week after Cincinnati dropped out. 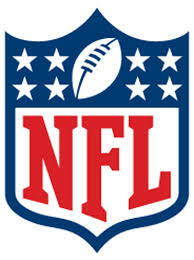 The Cleveland Browns wasted no time in drawing headlines for their 2019 NFL offseason, signing free agent running back Kareem Hunt on Monday in a move that will raise more than a few eyebrows around the league, with Hunt facing a suspension because of his domestic violence incident that led to his release from the Chiefs last year. In late November of 2018, video was released publicly of Hunt assaulting a woman in a hotel hallway back in February of 2018. The running back was placed on the commissioner's exempt list (preventing him from playing) and then released by the Chiefs later that afternoon. Hunt would speak out publicly and apologize for his actions, but has remained a free agent since he was released. The expectation is he would face upwards of an eight-game suspension from the NFL once he signed with an NFL team. The Browns certainly are aware of that possibility. Hunt promised a "healthier version" of himself after going through the process of rehabilitating himself and becoming a "better and healthier person." According to NFL Media, Hunt has undergone treatment for both alcohol and anger issues. He was apparently hoping to sign with a team before Roger Goodell announced his suspension -- Goodell told reporters at the Super Bowl he expected to have that investigation concluded "soon." Bloomington Central Catholic made 12 three-pointers, eight in the first half, and rolled past Monticello, 69-52 in Illini Prairie boy basketball action Friday night in Bloomington. Cole Davis made five three-pointers, including two from 30-feet at the left sideline, and finished with 17 points. Luke Yoder, who committed to play basketball at Illinois Wesleyan earlier this week, finished with 17 points as well. He also pulled down eight rebounds and finished with five assists. Tommy Nelson finished with a double-double with ten points and 12 rebounds. JT Welch added 16 points on 4-of-10 shooting from three. Devin Graham led the Sages with 15 points and nine rebounds. BCC jumped out to a 41-18 lead at the break thanks to a barrage of threes in the second quarter. Monticello clawed their way back to 13 points after trailing by 28 but the sharpshooting Saints were too much for the Sages to overcome. The Sages drop to 17-7 overall and are 3-4 in the Illini Prairie Conference. Friday afternoon it was announced the Sages earned the second seed in the Tolono Unity Section and will take on either Warrensburg-Latham or Argenta-Oreana in Regional Semifinal action from Monticello Middle School February 20. The Sages return to action tomorrow night (Saturday) when they travel to Decatur St. Teresa to finish off a three-game road swing, all against private schools. Hear Saturday’s action starting at 6 pm on 95.9 FM WEZC and online at dewittdailynews.com. The Clinton Maroons boys basketball team will look to break a four-game losing streak tonight when they travel to Warrensburg-Latham to take on the Cardinals. Both Clinton and Warrensburg-Latham are coming off Tuesday night losses. The Maroons fell to Shelbyville 51-47 while Meridian edged the Cardinals 65-64. The Cardinals came into the week riding high, having drawn the third seed in the Central Illinois Conference tournament and was among a number of upsets, leading to them reaching the tournament championship, but eventually fell to top-seeded Central A&M last Friday. The Cardinals dropped the Maroons to open the CIC tournament 64-57. Game time tonight from Warrensburg-Latham is 7:30 pm. The Monticello Sages will head to Bloomington tonight to take on the fifth-ranked team in Class 2A when they take on Bloomington Central Catholic. The Saints are 18-6 overall and have run the table in the Illini Prairie Conference at 5-0. After a three-game losing streak, the Sages have rattled off three wins in a row, their latest a 54-51 win over Champaign St. Thomas More. It's the second game in a three-game road stretch for Monticello, all against private schools. Monticello wraps up this road swing tomorrow night at Decatur St. Teresa before returning home for their final two games of the regular season next week. Game time tonight from Bloomington is 7 pm. Hear all the action on 95.9 FM WEZC and online at dewittdailynews.com. The return to Peoria for the second time in three years, it will be a tough road for the Monticello Sages as the seedings for the upcoming 2A postseason was announced yesterday. The Sages, who host their own Regional this year, are the third seed. The top seed of the Tolono Unity Section is fifth-ranked Bloomington Central Catholic. Fourth-ranked Gibson City-Melvin-Sibley is the third seed and Meridian is the fourth seed. The brackets for the upcoming postseason will be released this afternoon but it is looking like the Sages will have to go through two ranked, and very strong opponents in order to reach Peoria this season. Class 1A, 2A Regional action opens February 18. Myles Turner had 17 points and tied his career high with six blocked shots, while Thaddeus Young and Darren Collison each scored 14 points for the Pacers, who won their fourth consecutive game. Montrezl Harrell scored 19 points and Danilo Gallinari had 12 for the Clippers, who have a roster in transition after the NBA's trade deadline. The Pacers host Cleveland on Saturday for the third of six straight home games. The Feb. 7 trade deadline has officially come and gone, as some NBA teams found ways to improve their rosters for the impending postseason run. It was also the time for those franchises with little to no hope at a playoff berth to part ways with talent as they unloaded salaries to focus on the future. There was a tremendous number of trades leading up to the deadline, none bigger than the New York Knicks sending Kristaps Porzingis to the Dallas Mavericks in a seven-player blockbuster trade. Then we saw the 76ers make a huge move to add Tobias Harris from the Clippers, creating one of the most fearsome starting lineups in the NBA. Perhaps as a result, other top East teams loaded up as well, with the Bucks adding Nikola Mirotic from the Pelicans and the Raptors taking a big swing to get Marc Gasol from the Grizzlies. In a move that some have expected for a while, the 76ers parted ways with their former No. 1 overall draft pick, Markelle Fultz, after horrific shooting struggles to begin his career. Philadelphia sent him to Orlando for Jonathon Simmons and two draft picks. The biggest news, however, was a non-trade. The New Orleans Pelicans chose not to move All-NBA big man Anthony Davis, as the Lakers' offers reportedly barely elicited a response from the Pelicans brass. Jonathan Toews scored 3:21 into overtime to lift the Chicago Blackhawks over the Vancouver Canucks 4-3 on Thursday night for their season-high sixth straight win. Alex DeBrincat scored twice before Toews ended it with his 24th goal to cap a flashy individual effort. Chicago's captain skated in from the blue line, slipped past Christopher Tanev with a quick move and snapped a shot past goalie Jacob Markstrom. DeBrincat has 28 goals, matching his total last season as a rookie, and 10 goals in his last 12 games. The 21-year-old extended his point streak to seven games, with five goals and seven assists in the stretch. Chicago's Collin Delia made 40 saves, while Markstrom blocked 31 shots in his sixth straight start. The Blackhawks host Detroit on Sunday afternoon. Jordan Binnington made 32 saves, Brayden Shenn scored with 58.2 seconds left in overtime and the Blues won their fourth straight game, 1-0 over the Tampa Bay Lightning on Thursday night. St. Louis is 10-4-1 since the start of this calendar year. Binnington has played a prominent role, going 8-1-1 with two shutouts since making his first NHL start on Jan. 7. After Colton Parayko hit the post, Vasilevskiy stopped Schenn's in-close rebound while on his stomach with 7 1/2 minutes left in the first. Binnington got a piece of Nikita Kucherov's shot off a faceoff midway through the second that also hit the crossbar. He also had an in-close save on Victor Hedman during a 2-on-1 early into overtime. 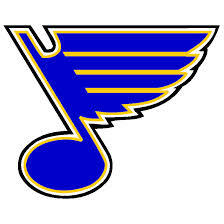 The Blues start a home-and-home Saturday with Nashville in St. Louis. The teams then play Sunday in Nashville. It's only Day 1 of the 2019 AT&T Pebble Beach Pro-Am, but we already have a pretty fascinating leaderboard that includes Phil Mickelson, Jason Day, Dustin Johnson and Jordan Spieth. But it was Brian Gay and Scott Langley with the early leads. Gay shot a 7-under 64 by playing the last five holes of his round at Monterey Peninsula in 14 strokes. He closed with five birdies and shot a 29 on the front nine (his back nine) at Monterey for the 64 and lead. Meanwhile, Langley birdied exactly half his holes at Monterey including one at the very end on the par-3 ninth hole to match Gay late in the day. If not for a slip on the par-4 eighth hole, he would have had a 30 on that side and the solo lead. Gay finished in the top 10 here last year, too, so he has a little bit of recent history, but he doesn't have a top-20 on the PGA Tour since the Wyndham Championship last August. Langley has never finished in the top 25 here. Last year's champion, Ted Potter, Jr., was at least playing the toughest of the three courses, but it was not a pretty day for the Wizard as he dropped a 10-over 82 which included four doubles and a triple. 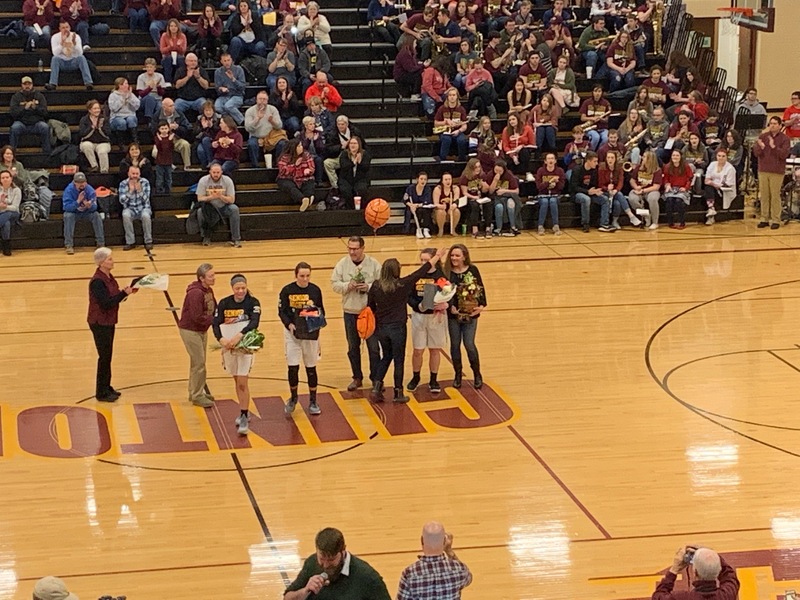 As heard on WHOW, the Clinton Lady Maroons fell to the Bloomington Central Catholic Lady Saints by a score of 54-30 on senior night. The Lady Maroons were led by Mallory Cyrulik with 11 points. BCC was led by Lauren Shanks with 22 points and Bailey Coffman added 17. With the loss, the Lady Maroons fall to 16-12 overall. BCC improves to 24-5. Tune in Monday, February 11, as the Lady Maroons take on Mahomet-Seymour in Regionals. You can hear the game live on the Big 1520 AM/92.3 FM/106.5 FM WHOW, online at dewittdailynews.com, and on the WHOW app.? Darrell Brown hit 5 of 6 from beyond the arc to scored 29 points as Bradley picked up a rare road victory at Northern Iowa, 79-71 in a Missouri Valley Conference battle Wednesday night. Isaiah Brown knocked down a 3 with 1:38 left in the game to pull Northern Iowa (10-14, 5-8) within three points, 70-67, but Dwayne Lautier-Ogunleye and Brown each hit two free throws to turn away the threat. AJ Green had 24 points and Will Lohaus added another 12 for Northern Iowa. Girls basketball squads across the state will look to punch their tickets to a sectional tonight when a number of Regional title games take place. Here's tonight's matchups in central Illinois. But Illinois, behind its defense, held on and took a 71-68 lead on Dosunmu’s 3-pointer with 2:35 left. Dosunmu made another 3 with 1:57 remaining, and the Illini held on from there as the Spartans missed their last four field-goal attempts. Bojan Bogdanovic scored 24 points and the Pacers tied an NBA franchise-record by making 19 3-pointers in a 136-94 rout over the Los Angeles Lakers - the most lopsided loss James has endured in his 16-year career. James missed 17 of the previous 18 games with an injured groin. He missed three of his first five shots, was beaten three times early on defense and had five first-half turnovers before finishing with 18 points, nine assists, seven rebounds and six turnovers. After Bogdanovic opened the game by scoring all of the Pacers' points in a 10-2 spurt, the Lakers never recovered. Myles Turner finished with 22 points while Thaddeus Young had 12 points, 11 rebounds and eight assists. The Pacers host the Los Angeles Clippers on Thursday night. Patrick Kane had a goal and an assist and the Blackhawks scored four goals in less than a three-minute span of the third in a 6-2 victory over the Edmonton Oilers on Tuesday. Erik Gustafsson, John Hayden, Dylan Strome, Drake Caggiula and Dominik Kahun also scored for the Blackhawks, who have won five straight. Cam Ward stopped 25 shots. Leon Draisaitl scored both goals for Edmonton, which matched a season-high with its sixth-straight loss. Cam Talbot turned aside 23 of 27 shots before giving way to Mikko Koskinen, who made six saves. Chicago struck before the game was two minutes old, when a point shot by Gustafsson ticked off the side of defender Adam Larsson's leg and got past Talbot just four seconds into a power play. Edmonton tied the game on a power play of its own with three minutes left in the opening period. Draisaitl pounced on a rebound for his 30th goal of the season. The Oilers made it 2-1 on a two-man advantage with just over a minute remaining as McDavid fed Draisaitl, who scored again on a one-timer. The Blackhawks tied the game four minutes into the third. An Edmonton turnover led to a goal by Hayden. Chicago then surged into the lead 1:33 later when a shot by Strome went through Darnell Nurse's legs and past Talbot. Kane extended the lead to 4-2 just 28 seconds later when he scored his 32nd of the season and extended his point streak to 12 games. Switching Talbot out for Koskinen didn't make a difference as the Blackhawks scored again just 27 seconds later on a shot by former Oiler Caggiula. Edmonton allowed a fifth goal in the third period. Kahun scored on a power play with eight minutes left. 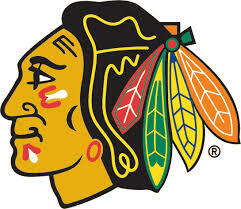 The Blackhawks host Vancouver Canucks on Thur?sday. The Blues play at Tampa Bay on Thursday night. Monticello held off Champaign St. Thomas More Tuesday night for a 54-51 victory as the Sabres frantic fourth-quarter rally fell short in Illini Prairie Conference boys basketball action Tuesday night in Champaign. The Sabres rallied for a 16-9 fourth quarter advantage, rallying with a 9-0 run over a minute and 52 seconds. A Riley Morris layup with 1:39 cut the Sabres deficit to 52-51 but a Ben Singleton basket with 27-seconds allowed Monticello escape with the final 54-51 margin. 13 of the Sabres final 16 points came off either turnovers or offensive rebounds. Bryson Lee recorded a double-double for Champaign St. Thomas More with 11 points and ten rebounds. Morris led all scorers with 17 points. Bobby Kapolnek added 13 points for the Sabres. Garrett Kepley and Ryan Reeder led the Sages with 12 points apiece and Singleton added 11 points and nine rebounds. Devin Graham scored six points, pulled down eight rebounds and dished out five assists. In survival mode, the Sages improve to 17-6 overall and 3-3 in the Illini Prairie while STM drops to 12-11. The Sages continue a three-game road stretch against private schools Friday when they take on Bloomington Central Catholic in Bloomington Friday night. Tip time from BCC High School is 7 pm. Hear the action on 95.9 FM WEZC and online at dewittdailynews.com. Monticello managed just one field goal in the third quarter as St. Joseph-Ogden stretched a six-point halftime lead to 42-22 to break down the streaking Lady Sages, 51-27 Tuesday night in girls basketball regional semifinal action from Unity High School. Bree Trimble scored 10 of her game-high 22 points in the third quarter as the Lady Spartans turned up the defensive intensity and execution on offense after allowing Monticello to hang around most of the first half, outscoring the Lady Sages 18-4 in the third quarter. Hannah Dukeman added 11 points for St. Joe who was without senior guard Peyton Crowe due to illness. No one scored in double-figures for Monticello but Jayna Burger led the way with seven points, Renni Fultz added six points and Cloe Clark chipped in with five points. Monticello ends their season 10-17. The Clinton Maroons fell to the Shelbyville Rams by a score of 51-47 on Tuesday night. The Maroons were led by Ben Nelson with 13 points, Zeke Hickman with11 points, and Cal Case with 9 points. The Shelbyville Rams were led by Malcolm Miller with 20 points, Kade Kull with 12 points, and Braden Nichols with 9 points. Tune in Friday, February 15th as the Maroons takes on Meridian. You can hear the game live on The Big 1520 AM/92.3 FM WHOW and online at dewittdailynews.com. It's not exactly two teams heading in different directions, but when Illinois hosts No. 9 Michigan State on Tuesday night, it will be a meeting of a pair of programs feeling a bit differently about how things have played out the past couple of weeks. The Spartans (18-4, 9-2 Big Ten) remain tied atop the league standings with Michigan and Purdue, but they're in that spot -- instead of first place all alone -- because they've lost two straight, on the road at Purdue and then Saturday at home against Indiana in overtime. It was the Indiana loss that truly had Michigan State reeling, considering the Hoosiers entered the game losers of eight straight and the worst 3-point shooting team in the conference. They ended their skid by hitting 50 percent of their triples and grabbing 14 offensive rebounds. Michigan State will have to do so against an Illinois team that is mired near the bottom of the conference standings but is starting to see some light at the end of the tunnel for second-year coach Brad Underwood. The Fighting Illini (7-15, 3-8) have won two of their last three games, including a win over then-No. 13 Maryland at Madison Square Garden on Jan. 26. Illinois will attempt to swarm the Spartans defensively. The Illini lead the Big Ten in turnovers forced while Michigan State is averaging more than 13 turnovers a game. It's been an Achilles' heel all year for the Spartans, who had two of their worst turnover games early in the season in a five-point loss to then-No. 1 Kansas and an overtime loss at Louisville. Darren Collison scored 22 points, highlighted by his 3-pointer and 20-foot jumper over 6-foot-11 center Jahlil Okafor during the final two minutes, and the Pacers held off the depleted Pelicans 109-107 on Monday night. The Pacers host the Los Angeles Lakers on Tuesday night. If the St. Louis Blues beat the host Florida Panthers on Tuesday night in Sunrise, Fla., it would be their first three-win road trip of the season. So far, the Blues are 2-1 on this trip, losing to the Los Angeles Kings 4-3 before beating the Anaheim Ducks 5-1 and the Columbus Blue Jackets 4-2. Granted, there was a one-week break between the wins over the Ducks and Jackets, but it's still a road trip for the Blues, who got one goal and two assists from Vladimir Tarasenko in the victory over Columbus. The Blues are getting healthier as forward Robert Thomas returned against Columbus after missing seven games due to a shoulder injury. St. Louis is expected to start 25-year-old backup goalie Jordan Binnington against the Panthers. Binnington, who was St. Louis' third-round pick in 2011, has won two games in a row, stopping 30 of 33 shots during that span. For the season, he has been remarkable, posting a 6-1-1 record with a .922 save percentage and a 1.86 goals-against average. The Chicago Blackhawks will look to increase their season-high winning streak to five games in a row when they visit the Edmonton Oilers on Tuesday night. 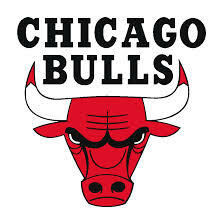 Chicago (20-24-9) has won four straight games by a margin of 22-13. The scoring binge has renewed hopes for a second-half surge and a possible postseason appearance. Such talk might have seemed far-fetched only a few weeks ago, but the Blackhawks believe a turnaround is possible. The teams' early-season struggles led to the dismissal of Joel Quenneville, who was replaced by Jeremy Colliton. As Chicago is surging, Edmonton (23-24-5) is slumping. The Oilers are winless in their last five games (0-3-2) and have given up at least three goals in each of those contests. The club would be in significantly worse shape if not for superstar center Connor McDavid, who has tallied 76 points (31 goals, 45 assists) in 51 games this season. The 22-year-old is on pace for his third consecutive 100-point season. Twelfth-year veteran Patrick Kane, who is riding an 11-game point streak, leads the team with 76 points (31 goals, 45 assists) in 52 games. Toews is next with 51 points (23 goals, 28 assists) in 53 contests. Alex DeBrincat has 47 points (26 goals, 21 assists) and enters Tuesday's matchup on a five-game point streak. This is the third and final meeting of the regular season between the teams. The Oilers have won the first two games, including a 2-1 overtime win Oct. 28 in Chicago and a 4-0 win Nov. 1 on their home ice. Edmonton is 12-13-1 at home this season. Chicago is 10-14-3 on the road. Only four players scored for the Monticello Lady Sages but their defensive pressure was strong enough to keep Champaign St. Thomas More from getting close Monday night, as the Lady Sages rolled to 32-16 win in Class 2A Regional quarterfinal girls basketball action from Unity High School. With the game tied at 6-apiece after a sloppy first quarter by both teams, the Lady Sages outscored STM 13-4 to open up at 19-10 lead at the break and held the Lady Sabres to six points total in the second half. Cloe Clark, playing with a heavily taped sprained right ankle, led all scorers with 12 points. Emily Edmundson added ten points and Renni Fultz had eight points. The Lady Sages move on to a Regional semi-final game Tuesday night at 6 pm. Hear the action on 95.9 FM WEZC and online at dewittdailynews.com. The Monticello Lady Sages finished the season with three straight wins and will look to continue the momentum tonight when they take on Champaign St. Thomas More in high school girls postseason action from Tolono Unity High School. The Lady Sages beat Unity, Olympia and IVC to close out their regular season last week. They will take on the Lady Sabres in a quarter-final 2A Regional game tipping at 6 pm. The winner will advance to a Regional semifinal game Tuesday night at 6 pm against St. Joseph-Ogden. Hear tonight's action on 95.9 FM WEZC and online at dewittdailynews.com. In a Super Bowl only New England could love, the Patriots won their sixth title by lumbering their way to a 13-3 victory over the Los Angeles Rams - that young, brash, high-flying team with the 33-year-old coach and the 24-year-old quarterback who were, we thought, changing football before our very eyes. The high powered Rams offense managed one 53-yard field goal from Greg Zuerlein and didn't take a snap inside the New England 20. The only touchdown drive the of the game included four straight completions by Brady: 18 yards to Rob Gronkowski, 13 yards to Julian Edelman, seven yards to backup running back Rex Burkhead, then a 29-yard teardrop placed perfectly into the arms of Gronkowski, who was double-covered. Sony Michel ran it in from 2 yards for the touchdown with 7 minutes left. New England's road to a sixth Lombardi Trophy - tied with Pittsburgh for the most - was never easy this season. The Patriots lost five times, didn't have home-field advantage through the playoffs and, after every loss, were beset by questions over whether the 41-year-old Brady and his 66-year-old coach might be winding down. Brady's first pass got intercepted. He went 21 for 35 for 262 yards and a passer rating of 71.4 - more than 26 points lower than he averaged this season. New England outgained Los Angeles 195-57 in the first half, but settled for two field goal attempts - one miss and one make - for a 3-0 lead at the break. It was 3-3 heading into the fourth quarter - the fewest points through the first 45 minutes of any playoff game since a 1980 barnburner between the Bucs and Rams that LA won 9-0. Illinois handed Nebraska its fifth straight defeat 71-64 Saturday afternoon from the State Farm Center. Kipper Nichols scored 18 points and Ayo Dosunmu 13 for Illinois (7-15, 3-8 Big Ten). Trent Frazier added 11 points for Illinois. James Palmer Jr. scored a game-high 22 points for Nebraska (13-9, 3-8), while Tanner Borchardt added 12 points and a game-high 18 rebounds. Thomas Allen scored 11. The Huskers were cold from the field all afternoon, hitting 25 of 70 for 36 percent, compared to Illinois’ 27 of 56 shooting for 48 percent. Illinois led by as many as 15 points late in the game, but Nebraska pulled within nine before Illinois held on for the win. The Illini kept pace with the Huskers the first half, after jumping out to a 7-0 lead. The final five minutes of the half saw Frazier and Nichols take over for the Illinois offense. Frazier hit two 3-pointers and Nichols one to give Illinois a 38-29 lead at the half. The Huskers seemed out of sync from the opening tip and shot only 32 percent from the field the first half, compared to 47 percent for Illinois. Illinois made 9 of 23 free throws (39 percent), its worst free-throw percentage since a 2012 win over Georgia Tech. Nebraska shot 11 of 21 from the line (52 percent). Illinois plays No. 6 Michigan State at home Tuesday. Zach Copeland had 11 points for Illinois State (14-9, 7-3 Missouri Valley Conference). The Redbirds have won three in a row and five of their last six. Illinois State hit five 3-pointers, including three by Yarbrough, while outscoring the Ramblers (14-9, 7-3) 23-10 over the final 8 ½ minutes of the first half to take a 35-25 lead into the break. Marques Townes hit a jumper to trim the deficit to six about three minutes into the second half, but Matt Chastain and Copeland made back-to-back 3s to make it 43-31 and Loyola trailed by at least eight points the rest of the way. Townes finished with 19 points and five assists, while Cameron Krutwig had 15 points and 11 rebounds, for Loyola. The Clinton Maroons fell to the Meridian Hawks by a score of 62-55 at Warrensburg-Latham High School on Saturday afternoon. The Maroons were led by Ben Nelson with 16 points. Zeke Hickman added 13 points and Matthew Overton chipped in with 11. Meridian was led by Jacob Jones with 22 points. With the loss, the Maroons fall to 8-13 overall. Meridian improves to 17-7 on the season. Tune in Tuesday, February 5, when the Shelbyville Rams come to town. You can hear the game live on the Big 1520 AM/92.3 FM/106.5 FM WHOW, online at dewittdailynews.com, and on the WHOW app. back to their winning ways with a 60-38 win over Chillicothe Illinois Valley Central. finish with at least a point in the book. The Central Illinois Conference boys basketball tournament wraps up this weekend as the third/fourth place game and tournament championship game takes place tonight and the consolation side of the bracket wraps up tomorrow. 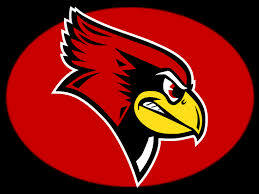 All games take place at Warrensburg-Latham High School. Tonight the 3rd/4th place game is set for 6 pm tip featuring Decatur St. Teresa and Tuscola and the championship game follows at approximately 7:30 pm featuring Warrensburg-Latham and Central A&M. The Cardinals are 16-8 overall while Central A&M, who sits atop the conference standings, enters play 21-3 overall. Tommorow the Clinton Maroons take on Meridian in the consolation side of the bracket with the consolation championship to take place at 4:30 pm between Shelbyville and Sullivan. The Maroons and Hawks tip at 3 pm. Hear the action on The Big 1520 AM/92.3 FM WHOW and online at dewittdailynews.com. The Maroons enter play 8-14 overall while Meridian is 16-9. The Monticello Sages boys basketball team is on a rare three-game losing streak and they will look to break the cold snap with a matchup tonight at home against IVC. The Sages have lost their last three games, all Illini Prairie Conference matchups, to fall to 1-3 in the Illini Prairie. You have to go back to the 2016-17 basketball season when the Sages lost the last two games of the 2016 Holiday Hoopla and followed that with a loss to Rantoul, the first game of the 2017 calendar year. However, later that year, the Sages made their first State Finals appearance in school history. The Gray Ghosts are 10-12 overall and are 0-3 in the Illini Prairie. Meanwhile, the Sages are 15-6 overall and 1-3 in conference play. Tonight's action tips at approximately 7 pm. Hear it all on 95.9 FM WEZC and online at dewittdailynews.com. Terrence Ross scored 13 of his 30 points in the fourth quarter, Nikola Vucevic added 17 points and 10 rebounds, and the Magic beat Indiana 107-100 on Thursday night to hand the Pacers their fourth straight loss. D.J. Augustin scored 20 points for the Magic, including nine straight free throws in the final 1:26. Orlando broke a four-game losing streak and snapped an eight-game skid against Indiana. Myles Turner had 27 points and seven rebounds for the Pacers, who haven't won since Oladipo went down during a victory against Toronto on Jan. 23. It was their first loss at Orlando in almost five years. Ross came off the bench and shot 11 of 18, including five 3-pointers. He made three steals in the fourth quarter. Vucevic scored six points while the Magic were taking an 11-0 lead. The Pacers erased that deficit quickly, but never went ahead until Collison drove for a layup and three-point play with 9:56 left in the third quarter. That came during a 17-4 run in which Turner scored 10 points, lifting Indiana to a 65-57 lead, its largest of the game. Ross converted two straight steals into points to pull Orlando back in front early in the fourth, and Vucevic's basket put the Magic ahead for good at 91-89 with 5:08 left. Augustin followed with a 3-pointer and clinched the victory for Orlando at the foul line. The Pacers are at the Miami Heat on Saturday night. Justin Thomas, Rickie Fowler, and Harold Varner III all shot 7-under 64 over the first 18 holes of what's sure to be a neck-and-neck race no matter who ends up the champ at the end as TPC Scottsdale this course has produced three straight playoffs. The trio combined for 21 birdies and an eagle, and Thomas made six 3s on the front nine of the course, his back nine. Fowler has a pretty good history at this tournament, he lost to Hideki Matsuyama in a 2016 playoff, and Thomas is coming in off back to back top 20s in the Hawaii swing. Fowler led the PGA Tour in Round 1 scoring last season but his average faded as the week wore on.